While the 2016 NBA Draft was loaded with impressive first-round talent, as well as a few players who could be considered overrated, there were also those players who simply “lost” on draft night, whether they fell too far based on where they probably should have been drafted, or just weren’t being drafted at all. Some players had it worse than others, while a few of these guys ended up in decent spots, but may have a bit of a chip on their shoulder from being drafted late. There’s an argument for many players, but today we look at the five players who lost in the worst fashion. Sure, Anthony “Cat” Barber wasn’t a first-round pick due to his size. That’s understandable. 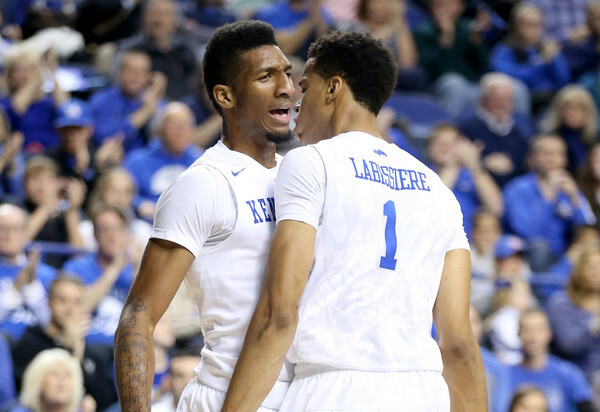 It’s not the fact that Barber is 6-foot-2, but instead is that he’s only 185 pounds. 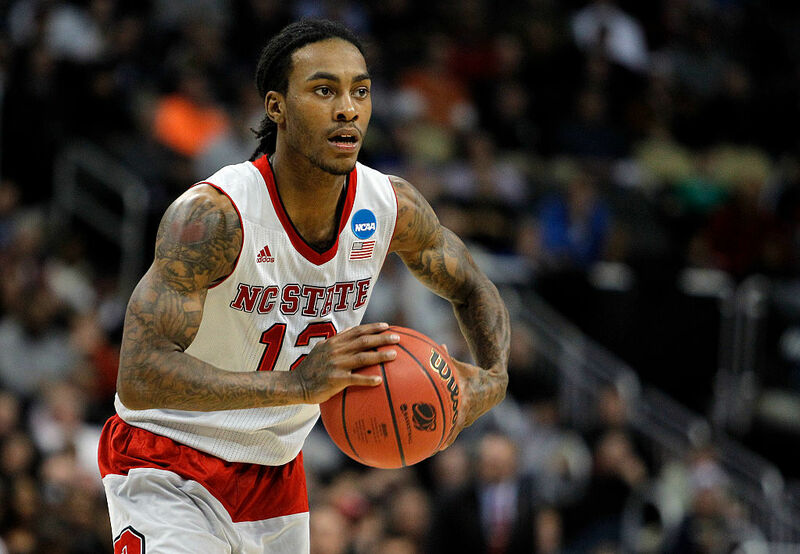 He also played at a school, NC State, that struggled mightily last season, so that may have played a factor. What is hard to ignore, though, is that this 185-pound playmaker, was simply dominant throughout much of last season with the Wolfpack. Barber averaged 23.5 points, 4.6 rebounds, and 4.5 assists last year, while literally taking over games at times. Instead of a team taking a chance on him in the second round, the New Orleans Pelicans picked him up as an undrafted free agent. Great move by the Pelicans; pretty disappointing that Barber now has to prove himself in a big way. Expect his name to hang around the NBA in 2016 and for years to come. While Skal Labissiere was expected by some to be a top-1o or top-15 pick, the draft day slide was real for the former Kentucky Wildcat. Labissiere wound up seeing his slide end at No. 28 overall, and he’ll play for the Sacramento Kings. Unfortunately, this was a pretty miserable landing spot for Labissiere, as the Kings not only have DeMarcus Cousins and Willie Cauley-Stein, but they used the No. 13 pick on another center in Georgios Papagiannis. Labissiere will be doing a whole lot of sitting on the bench and watching over the next few years, which makes his slide on draft night even tougher to deal with. 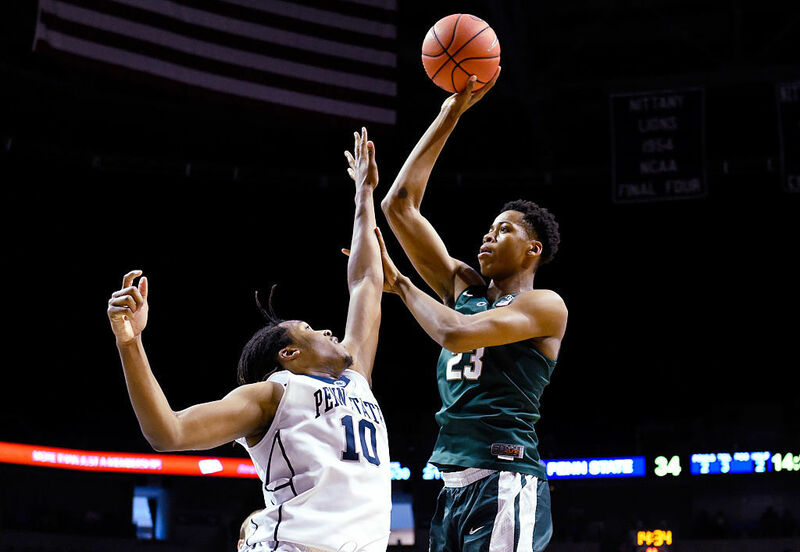 Surprisingly, Deyonta Davis fell to the second round of the draft, and will now play with the Memphis Grizzlies. Davis was one of the many players who took that “one-and-done” chance in college basketball, but this time it didn’t pay off. Davis isn’t getting that first-round money, and now he will need to prove himself at the NBA level. For what it’s worth, Davis averaged just 7.5 points and 5.5 rebounds per game during his lone season with the Michigan State Spartans, while playing just 18.6 minutes per game. His upside is obviously there, but it’s disappointing to see the slide for the former high school standout. We’ll probably never make sense of the Michael Gbinije situation. The guy was a workhorse in both 2014—15 and 2015—16 for the Syracuse Orange. He saw his scoring numbers increase throughout his entire college career, and finished last season with averages of 17.5 points, 4.3 assists, 4.1 rebounds, and 1.9 steals. The fact is, this guy can do a little of everything, and whoever landed him was bound to get a great impact player off the bench. Apparently, not everyone was on board with that though, as Gbinije fell to No. 49 and was selected by the Detroit Pistons. It’s an interesting landing spot for him, but he’s still not being talked about very much. Expect Gbinije to turn a lot of heads this offseason, as well as during his first NBA season. Keeping it going with new Pistons players, let’s talk Henry Ellenson. There is absolutely no reason why the former Marquette standout should have fallen as far as he did. 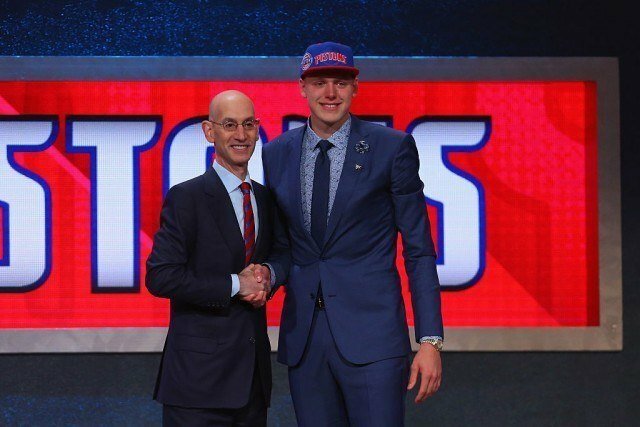 The Pistons got yet another steal in Ellenson at No. 18; this was a player who averaged 17 points, and 9.7 rebounds during his lone season with the Golden Eagles. While it was a bit of a tough slide, he at least landed with a team that has some upside. It’s a pretty safe bet that he would have preferred to be selected higher — specifically by one of the teams who sat in the lottery.